Property 8: Tranquil riverside cottage in grounds of watermill. Property 29: Charming cottage fine performance, well located. Offering many advantages. 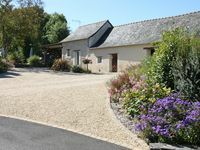 Property 30: For a stay in 2 very quiet in the Val de Loire countryside! 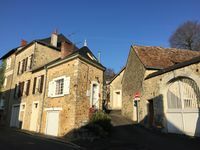 Property 37: Traditional 300 year old French Cottage with WiFi, private pool and garden. One Bedroom Converted Bread Oven - Perfect for two, read our guest reviews! Property 38: One Bedroom Converted Bread Oven - Perfect for two, read our guest reviews! Property 43: Loire Valley cottage near Saumur, peaceful but close to village amenities. Lovely stay in beautiful location. Exactly as anticipated. Perfect property for two people. Lovely village location. Worked out well for our Le Mans trip. Easy parking right next door.